How are asteroids in our Solar System formed, where are they found, and what danger do they pose to life on Earth? Asteroids are made from rock, metal or carbon, while comets are made of rock and ice. Millions of asteroids form a belt between the orbits of Mars and Jupiter. Asteroids that come close to our planet are called near-Earth objects. An asteroid hitting Earth may have wiped out the dinosaurs 65 million years ago. When the Sun and planets first formed there were leftovers. These scraps from the early Solar System cooled to form asteroids and comets. Comets are made of rock and ice. 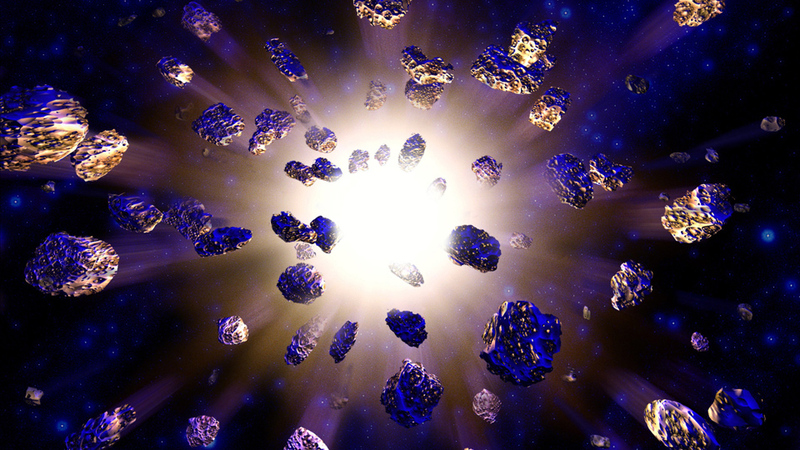 Asteroids are predominately composed of rock, metal or carbon.